Anglican, arched window, bellcote, buttress, Fingal, Gothic, Gothic Revival, lancet window, pointed arch, porch, St Peter’s, Tas, Tasmania. 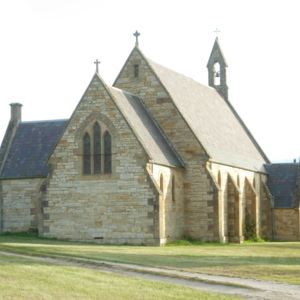 St Peter’s Anglican Church, dedicated in 1867, is in the town of Fingal, Tasmania. 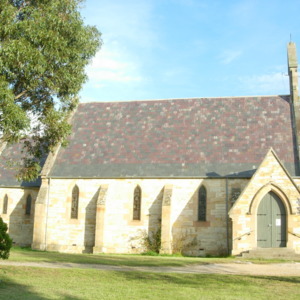 The stone church is built in the Gothic Revival style, and features buttresses, pointed-arched windows and entrance, a porch, and a bellcote. 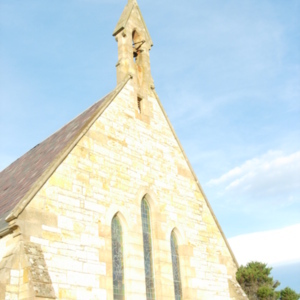 “St Peter’s Church exterior, Fingal, Tasmania,” Medievalism in Australian Cultural Memory, accessed April 25, 2019, http://ausmed.arts.uwa.edu.au/items/show/1023.